When it comes to enabling good habits in kids, the general recommendation is to practice what you preach, since kids learn more from what you do than what you say. Unfortunately, they also pick up your quirks too! While I try my best to eat healthy so that my kids follow suit, one food that I just can’t seem to adopt are dates! And like good children, my kids have decided that they don’t like what Mommy doesn’t like, and have declared war on dates. Now dates are among the most nutritious foods on the planet, especially for growing kids, so completely eliminating them from our diet is not an option. So, this leaves me always on the lookout for recipes where I can sneak in dates somehow, without my kids finding out. And an easy way to get this done is by making date syrup. Yes, you’ll get ready made syrup in stores, but we already know about all the additives in supermarket brands. 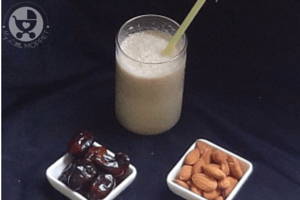 And why would you go for those, when you can make it so easily at home with just two ingredients – dates and water! This syrup is great to pour over waffles, pancakes, ice cream, roti, bread – anything at all!  If you’d like to know how and when you can start feeding your baby dates, check out this post. 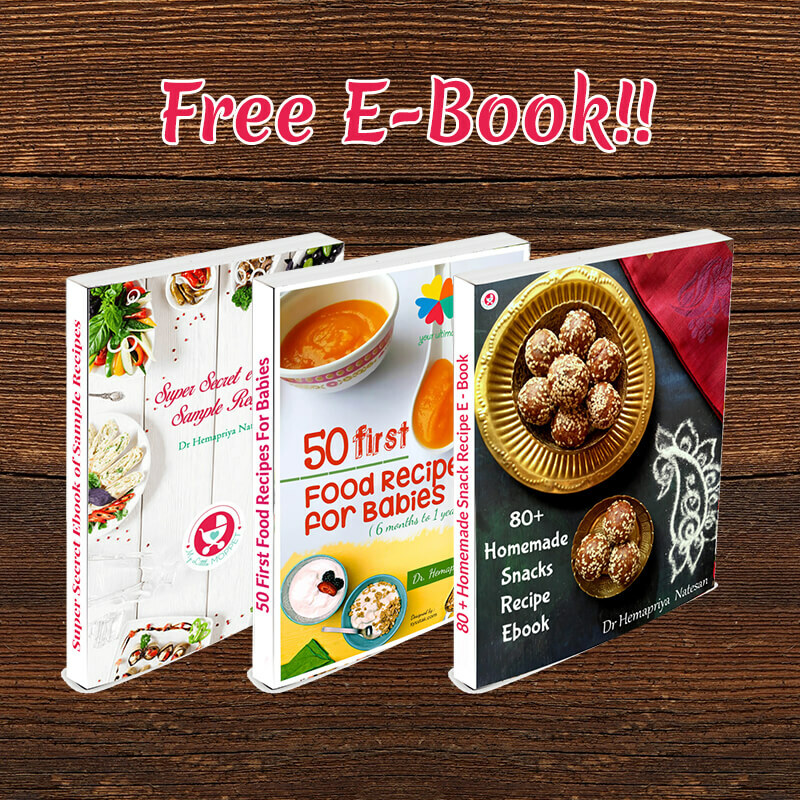 For more recipes for kids that feature dates, scroll down to the end of this post. 1. Chop the dates into small pieces to reduce the cooking time. If you are using seeded dates, de-seed them first. 2. Put the chopped dates into a pan and add water to completely submerge them. 3. Allow it to boil on a medium flame till you get a thick, syrupy consistency. 4. Turn off the heat and let it cool. Transfer to a jar with a tight lid. There you go – super easy and delicious!! Not to mention 100% free of additives and preservatives. Now go ahead and enjoy all your treats with some extra natural sweetness! 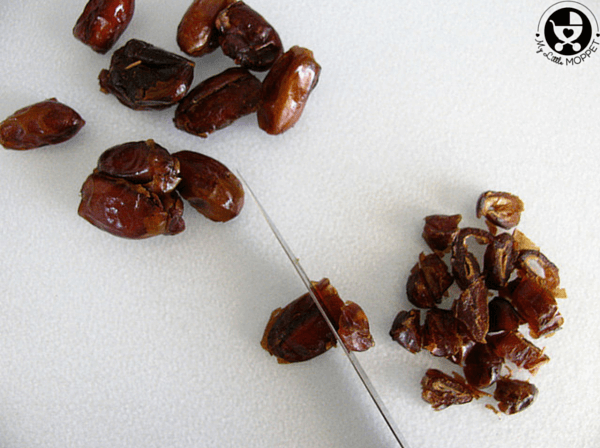 Dates are an extremely nutritious food for kids, but not all of them like it! 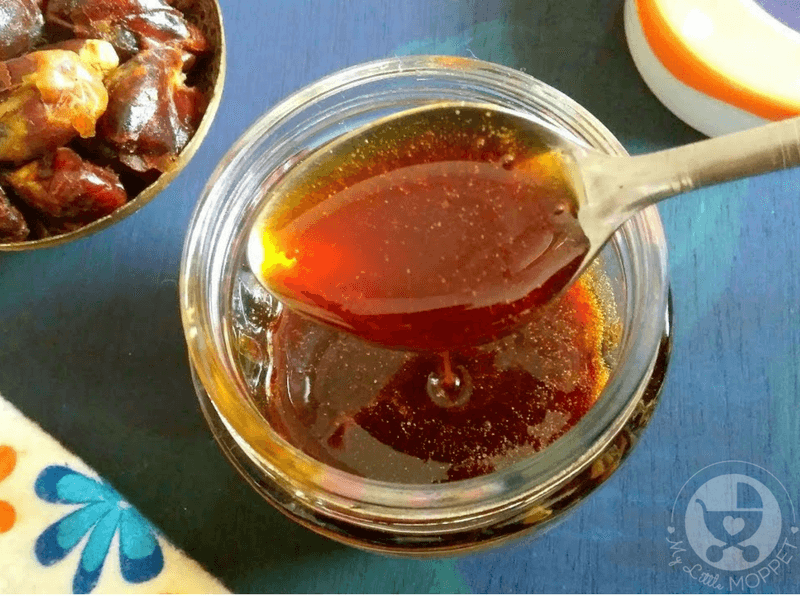 Make this easy homemade date syrup that can be used with all kinds of foods. Chop the dates into small pieces to reduce the cooking time. If you are using seeded dates, de-seed them first. Put the chopped dates into a pan and add water to completely submerge them. 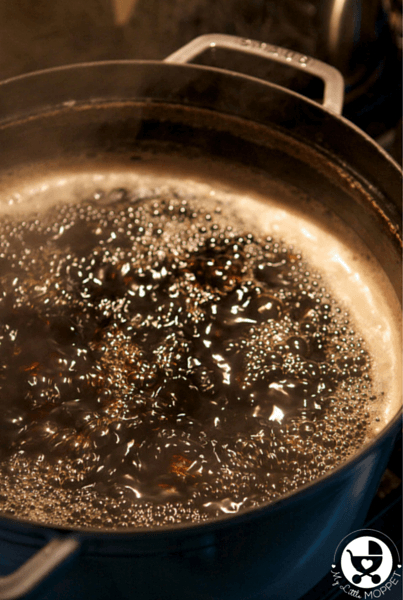 Allow it to boil on a medium flame till you get a thick, syrupy consistency. Turn off the heat and let it cool. 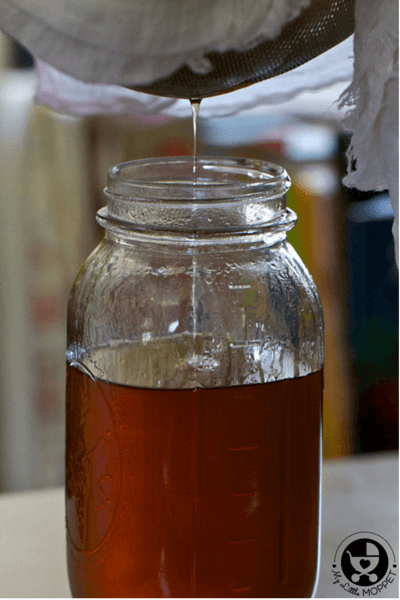 Transfer to a jar with a tight lid. No, Dates or Dates syrup should be given at 1 year+ old children. We always advice young parents to exclusively breastfeed their child till 6 months. 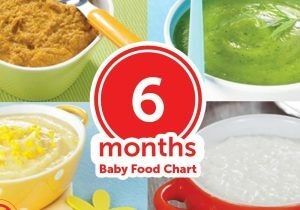 The solids should be initiated at 6 months + age. You can give regularly. Give thrice in a week during summer days. What is the proper storing method for this dates syrup?? How long this can be used?? Dates syrup can be stored in room temperature for 10-15 days and 2 to 3 months upon refrigeration. Thanks for sharing this. Could u pls tell abt the shelf life. How much quantity of syrup can be given for a 9 month old baby ? At room temperature it stays good for 10-15 days and upon refrigeration 2-3 months, Dates syrup can be given for babies from 8 months. You can introduce from 8 months. Start by adding little and then add the quantity. Sorry, it’s kind of confusing because you said in other comments that it can be given to babies as early as 8 months. Can you please clarify? 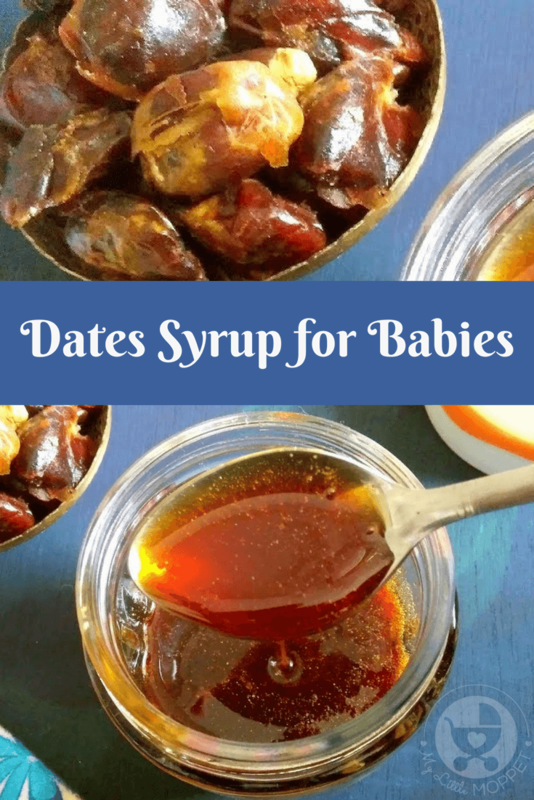 Dates syrup can be given to babies after 8 months dear. Please do follow 3 day rule to check for the bowel movements and then continue. In your earlier post you have mentioned in can be added as a sweetener from 8 months. I wanted to add in oats porridge. You can add it with oats porridge. 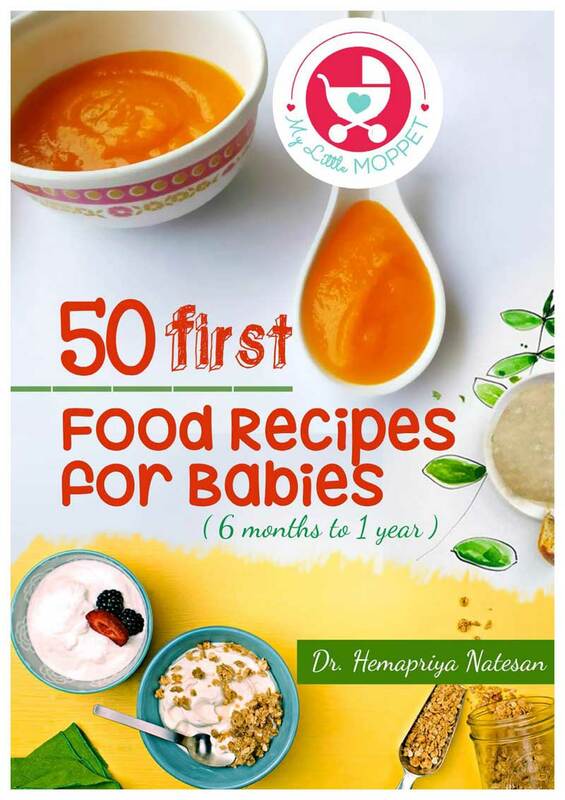 I have 6 month old daughter.I read many a times that infants can’t differentiate between bland or sweet, salty food.It may sound weird but my daughter doesn’t like bland food.She is fond of sweet …she likes fruits.I have tried to giver her homemade cerelac but she doesn’t eat.which fruits or vegetable can I add to cerelac to make it sweet so that she starts feeling. 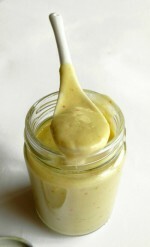 You can add apple puree, mango puree, banana puree, carrots puree, beetroot puree etc. in the porridge to make it tastier. You can also add cardamom or cinnamon powder to the porridge too. Are u selling dates syrup ? 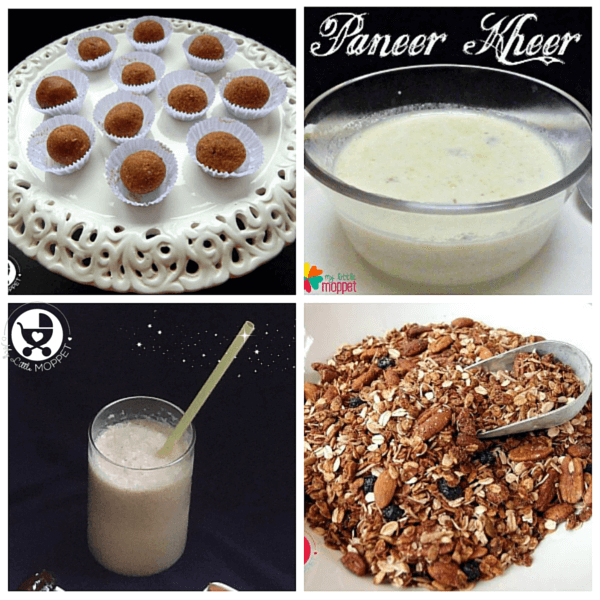 Can we give in midnight with cow’s milk? Yes, you can give dates syrup with milk in midnight but we prefer giving the milk during day or by evening. You can add a tablespoon of Dates syrup in day. What would be the shelf life of this syrup, please? At room temperature it stays good for 10-15 days and upon refrigeration 2-3 months, hope this helps dear. Can I give dates syrup with warm water Everyday . .
How old is the little one dear? Hi mam , my kid is 5 year old n often have stomach pblms like indigestion n constipation, I want to know that can this syrup be added in milk on daily basis instead of sugar? N one more thing , with all benefits big dates it also generates heat in body , is it true? So can this be given even in summers? Yes, you can give her dates syrup on daily basis but only a tablespoon of the syrup. In summers, you can add the dates syrup in alternative days. You can start giving dates, once the baby learns chewing dear. Dates syrup you can start as early as 8th month. And yes it can be added as sweetner in baby food. 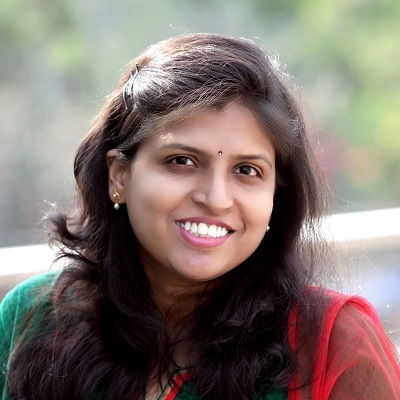 Hi Hema mam….Which brand dates we can buy? Dear you can buy from a local source or source you can trust. My Baby will be 7 month old in next week . Can i introduce date syrup for sweetness in his food. Dear you can start with very little from 8 months. and always follow a 3 day rule to ensure that baby is not allergic to any new food. Add it as a natural sweetner in purees or any other food that requires sweetness. Try and see how the little one likes it. Hi . So many varieties of dates are available , could you suggest which is best brand and type of dates we can use for baby below 1 year ? Thank you . You can buy Dates from any brand, but the dates should be organically grown and also Dates syrup can be fed to babies from 8 months. Which dates to buy? Dry ones or soft ones. Any recommendations as to where it can be purchased? My baby is just 7 months old can I give him dates? 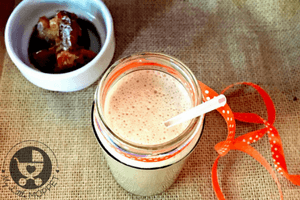 Can I add dates syrup to cow’s milk and feed my baby? My baby is 11 months old. My baby 10 months old has not been putting on any weight since 2 Months he eats family food but just 3-4 spoonfuls. What can be given to increase his weight? Otherwise he’s an active & happy baby..
From what age can this be introduced to babies? What is the shelf life of this syrup dr? Hi..no need to grind? Should it be filtered? How long is it’s shelf life? ? Can it b given to babies and how long can we store the dates syrup. For how long this date syrup will last without getting spoilt?